Once the concrete was under control on the day of MC’s bowl pour, folks decided to session the mini. 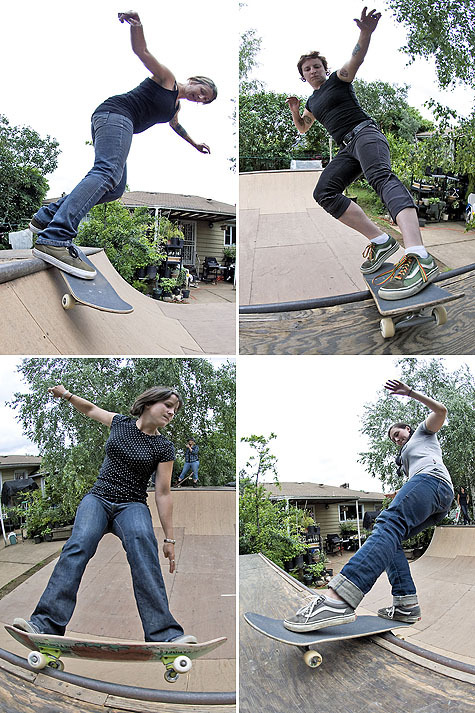 Check out Cathrine, Jen, Sasha, Tracie, Pete and Marek as they take it to the lip. i like the small garden in the middle of a private park, thats how it should be. everywhere. That girl with the shaved head an the glasses is kind of funny looking.